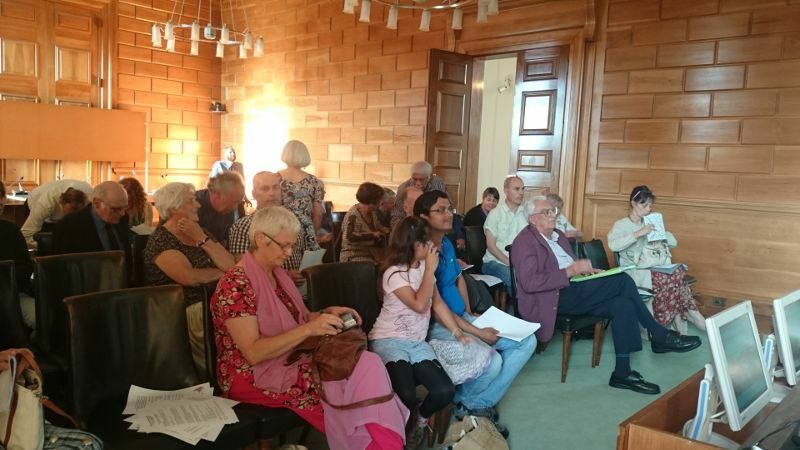 On 9 July, DFBF held its 2015 AGM at County Hall, Exeter. The AGM considered the Annual Report 2014-15, which includes an overview of the year and updates on DFBF’s three projects: DIFFY, Faith Speakers, and DEFAN. Download the Annual Report 2014-15 (pdf; 3Mb). 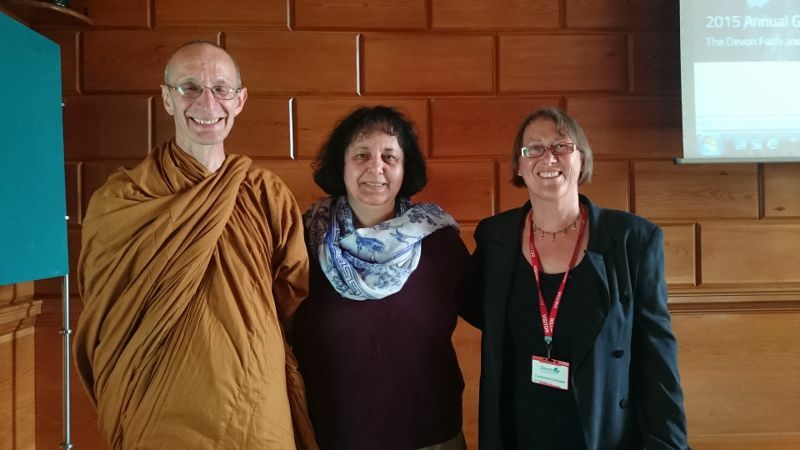 The guest speaker at the AGM was Ajahn Jutindharo, on “Buddhism, Understanding and Living in the Modern Age”. Ajahn Jutindharo grew up in Leeds. He studied physics at university, and then worked for several years in medical research whilst writing a PhD. At university he became interested in meditation and Buddhism, which culminated in a decision to join a Buddhist monastic order in 1987. His monastic life has been spent primarily in England, with short periods in Asia. Since 2007 he has been the senior incumbent at the Hartridge Monastery in Devon.